Toyota Burundi started back in 1977, when two entrepreneurial minded brothers Balkrishna G. Gorajia and Hargovind G. Gorajia bought small Toyota distributorship in Bujumbura, Burundi. With hard working, determined, passionate and business minded personality, the two Gorajia brothers were able to create the dealership into an automotive power house, which till today stands as one of Burundi’s landmarks. 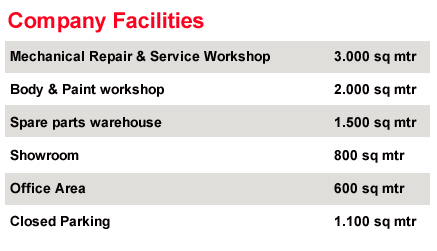 We have the largest workshop facilities, with repair shop, body shop, washing bays, paint booth etc., spare parts warehouse, show room and sales counter, office space, and parking space. We have Toyota certified technicians that undergo continuous training program on a yearly basis designed by TMC to keep our workshop personnel up to dated with the latest technology that is incorporated in the current models sold in BURUNDI. Toyota Burundi has qualified and professional front line managers and executives and a congenial professional work culture with objective of continuous growth and customer satisfaction. Kaizen system is applied for spare parts. Toyota Burundi uses a divisional led structure with a clear set of objectives and growth plans, while Department Managers are empowered independently handling delegation of work and bottom line results.